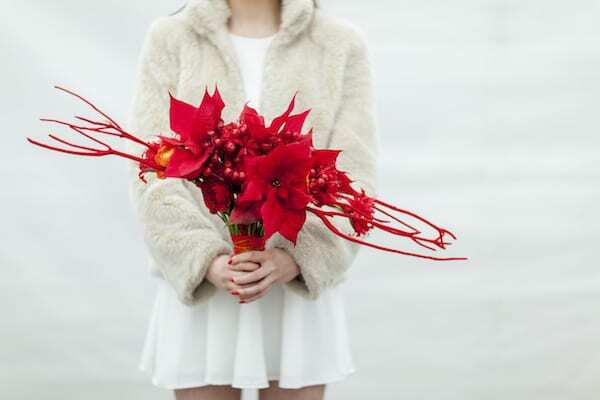 If you’re a bride-to-be or a florist, have you ever considered poinsettias for big day blooms? Well, this month five very talented florists were tasked by Stars for Europe to design a wedding bouquet incorporating poinsettias. And here are the beautiful results…! 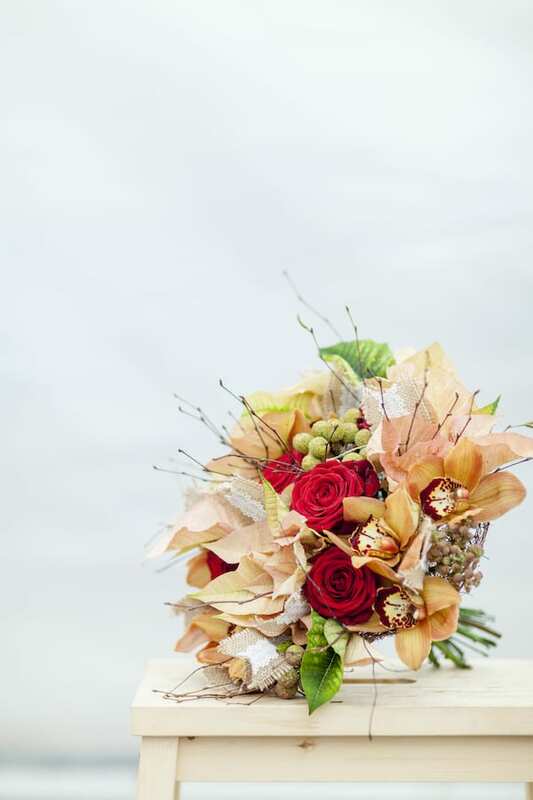 Evoking the warmth of winter evenings, this gorgeous bouquet by Kristina Cousen of The Blacksmith’s Daughter combines coffee-pink poinsettias with rusty-brown phalaenopsis orchids, Red Naomi roses, brunia, delicate birch twigs, plus lace and hessian ribbons. 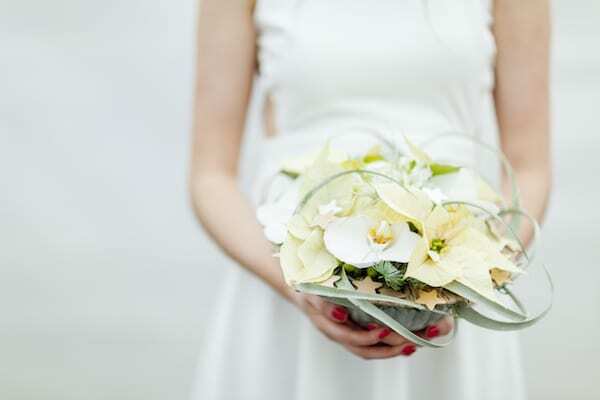 The Blacksmith’s Daughter is a bustling flower shop at the heart of Petersfield in Hampshire, where Kristina and her team create flowers for weddings, parties and events. 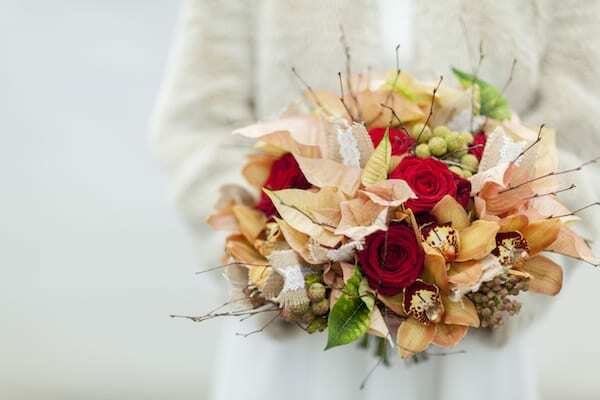 They also send their bouquets nationwide by next day courier. 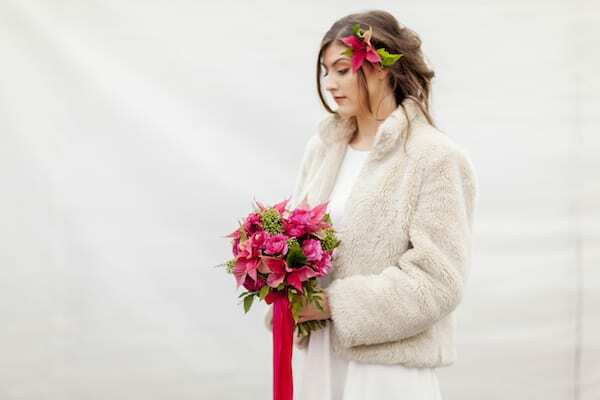 Pip Bensley’s striking bridal design would brighten the darkest of winter days. This confident red bouquet combines classic red poinsettias with red painted twigs, waxed berries, red ranunculus and red nerines. Their stems are wrapped in red felt and bound with decorative gold wire. Pip has won three RHS Chelsea Gold medals and works as an independent florist from her Southampton studio. 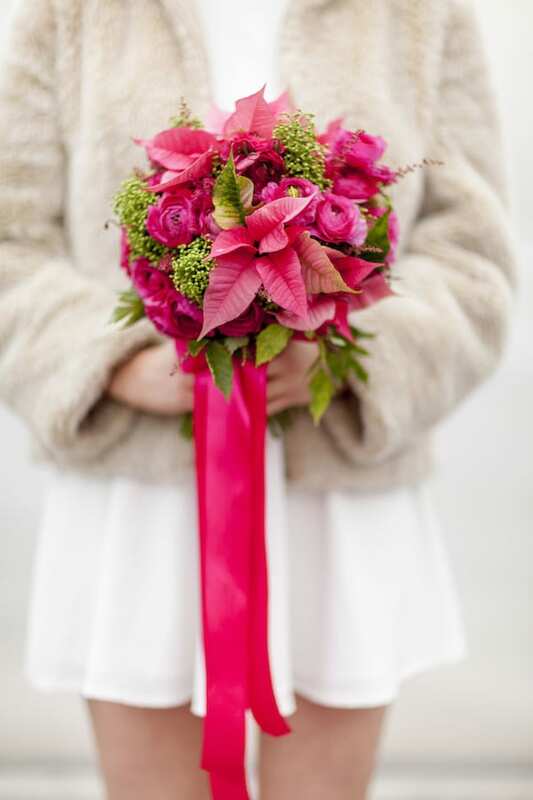 Styling the Poinsettia ‘Pink’ with pink ranunculus, skimmia, pink heuchera and sambucus foliage dressed with silk pink ribbon, Jessica Simmonds from Okishima & Simmonds has created a fresh, yet seasonal, wedding bouquet. 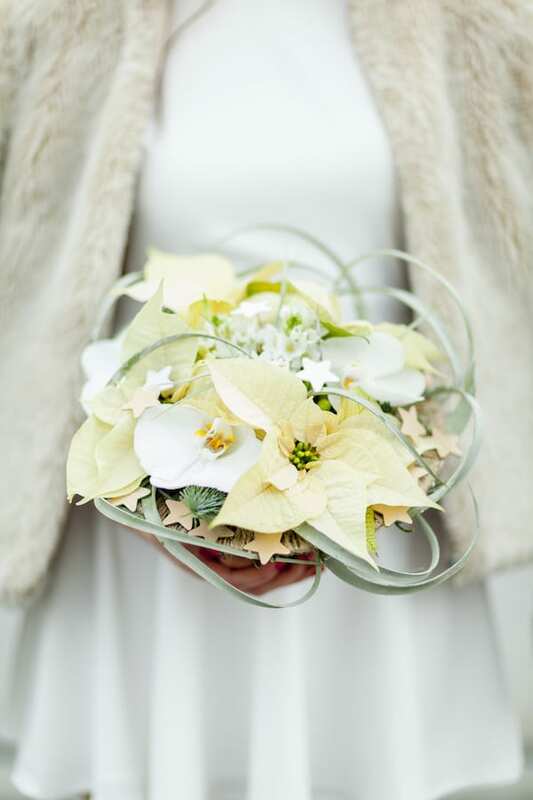 Placed with a simple hair clip, a single stem of poinsettia adds the perfect floral touch to the bride’s hair. 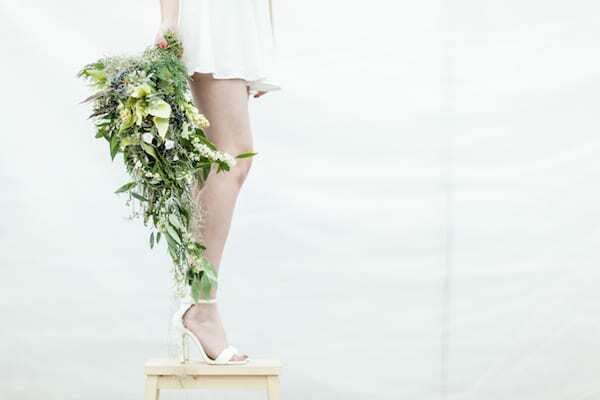 From their studio in London SW6, floral stylists Okishima & Simmonds design flowers for weddings, parties, fashion shows and photoshoots. They’re the creative team behind the Living Poinsettia Dress which was created for International Poinsettia Day 2015. Creamy-white poinsettias blend perfectly with white ornithogalum, white phalaenopsis orchids, sprigs of blue pine interwoven with the curling stems of tillandsia xerographica in this exquisite design by David Ragg. The bowl shape is to be cradled in the bride’s cupped hands. It contains wet floral foam to keep the flowers fresh for up to two weeks. 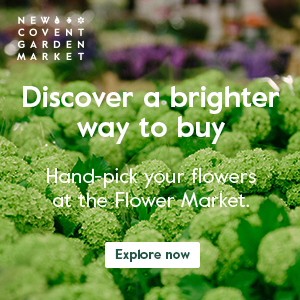 David Ragg has won 5 RHS Chelsea Gold medals and is an international floristry demonstrator, published designer and Honorary Member of the Institute of Professional Florists…as well as running a successful flower business in Bournemouth. This free, loose, spectacular cascading design is signature Jay Archer. Winter foliage mingles with spirea, roses, viburnum, convolvulus, delphiniums, reindeer moss, feathers and creamy Poinsettia ‘Sorbet’. 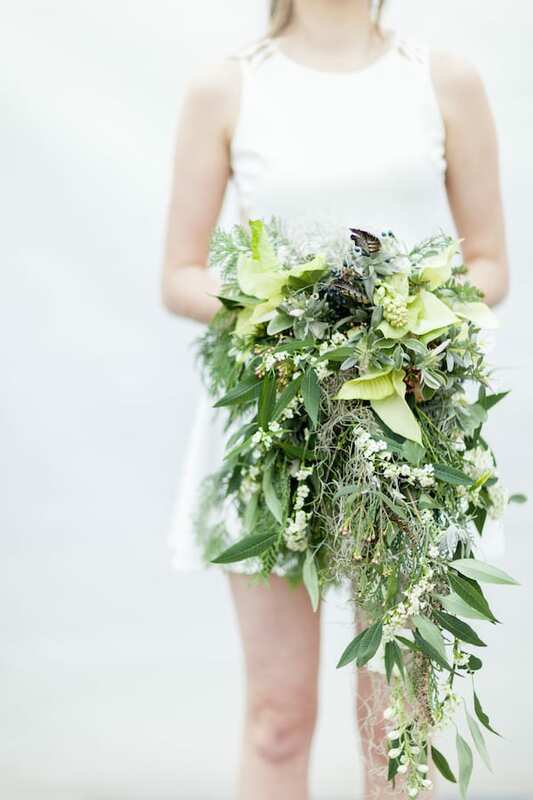 Jay Archer is an award-winning wedding florist based in her studio in Hampshire. 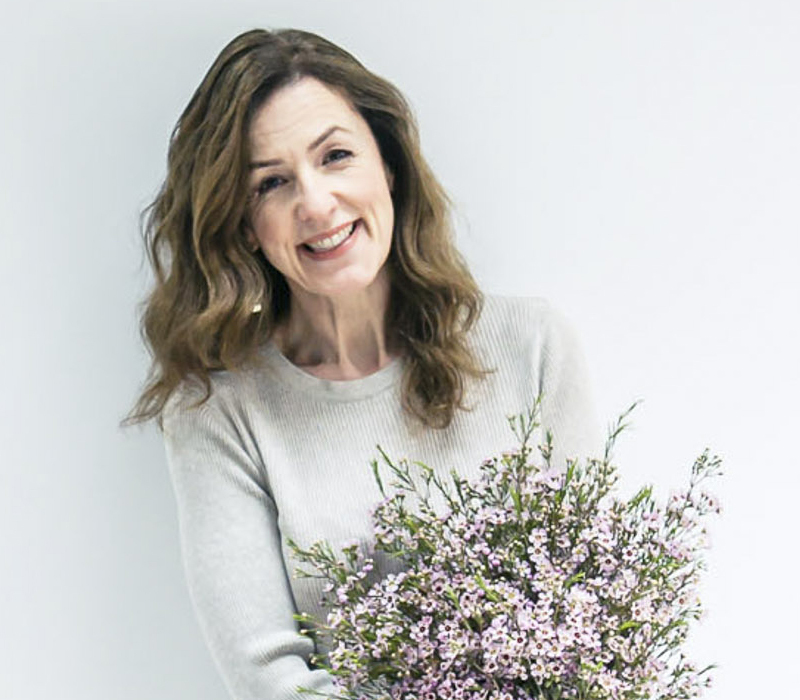 In addition to styling weddings across London and the South East, she has recently opened the acclaimed Jay Archer Floral Design Flower School. If you’re a bride-to-be getting married during the winter months, I hope today’s blog post has given you lots of inspiration! And if you’re a florist…the trick to producing long-lasting cut poinsettias is to dip their cut stems immediately in hot water at 60?C for 20 seconds and then into cold water for 10 seconds. This seals in the milky euphorbia sap and helps the cut poinsettia blooms last up to two weeks in water or five to six hours out of water. P.S. Thank you SO much to all the people who’ve completed the Flowerona Survey. It will be closing at midnight tonight (Wednesday). I’d love to know your thoughts! And if you’d like to be in with a chance to win the fabulous giveaway, don’t delay…simply click here to head to the survey! This gave me a great idea for my own post, so I have borrowed heavily from your post Rona. (Full credit and backlinks provided.) Poinsettias are not my favourite flower, but they are transformed when used as a cut flower. 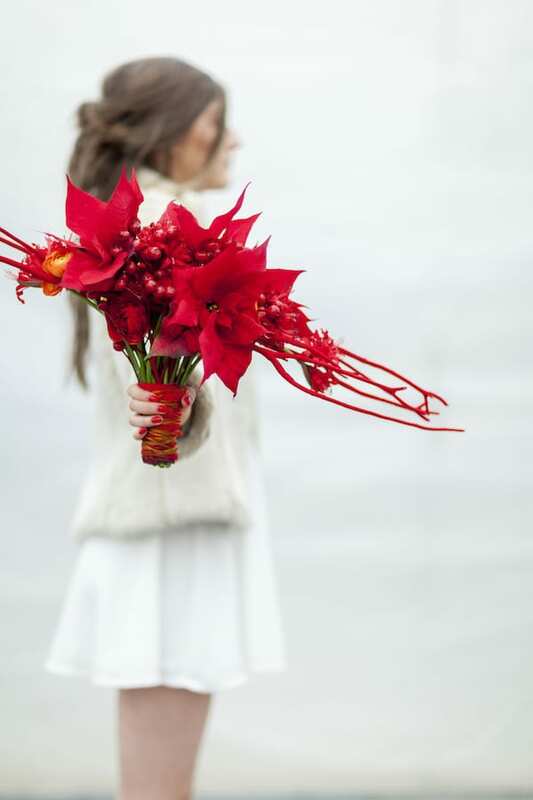 These stunning bouquets really opened my eyes to how beautiful and versatile poinsettias can be.